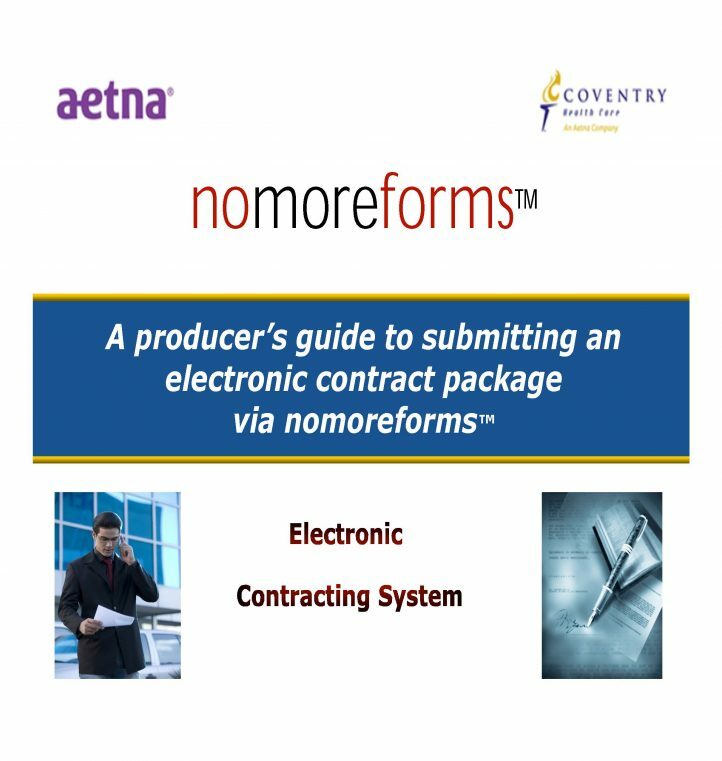 Aetna recommends that agents complete their certification before submitting the contract package through the NoMoreForms (NMF) portal. Step 1: Open and review the NMF Guide prior to starting the online contracting process. Failure to submit a contract according to the guide can delay the processing significantly. Step 2: Internet Explorer is the required browswer. Access the NMF Website. Create a NMF account to complete your contract. Step 4: Complete all the required forms listed per the NMF Guide referenced in Step 1 above. Step 6: Complete the Aetna Hierarchy Form and sent to WAP’s contracting department. This step can be combined with Step 4. Step 7: In 10-14 business days after submitting your contract, you will receive a ready-to-sell notice from the carrier. You will only receive this notice if you have completed certification. Please note that you will need to complete Market Training for every market you intend to sell in before you begin to write business. WAP will allow one hierarchy transfer per carrier per calendar year and we will not honor any requests placed from August 15 – December 15. Provide a written release from their immediate upline. This may be in the form of an email. Sign a new WAP Hierarchy Form for each carrier involved in the hierarchy transfer and submit to WAP. Some carriers have additional steps involved in a hierarchy transfer or release. WAP will advise the agent and agency of any specific carrier process at the time of the request. Agents under another FMO with no production in the past six months may transfer at current contract level immediately. Step 1: Review Aetna Transfer Release Rules. Step 2: Complete the Transfer Release Form. Click HERE for instructions on completing the form. Step 3: Log into your NoMoreForms (NMF) account using WAP’s Package Code – WSTAPAG4 to change your hierarchy. Click to access the NMF Website. Step 4: Select Change of Broker Hierarchy on the Scope of Submission Form in NMF. Step 5: Upload the signed Transfer Release Form in NMF when prompted to upload supporting documents. Also send a copy to Western Asset Protection’s Contracting Department at contracting@westernassetprotection.com. Step 6: Once your contract is submitted, you will be issued a Submission Confirmation Number. Please email your confirmation number to Western Asset Protection’s Contracting Department. Step 7: Complete the Aetna Hierarchy Form and send to WAP’s Contracting Department.